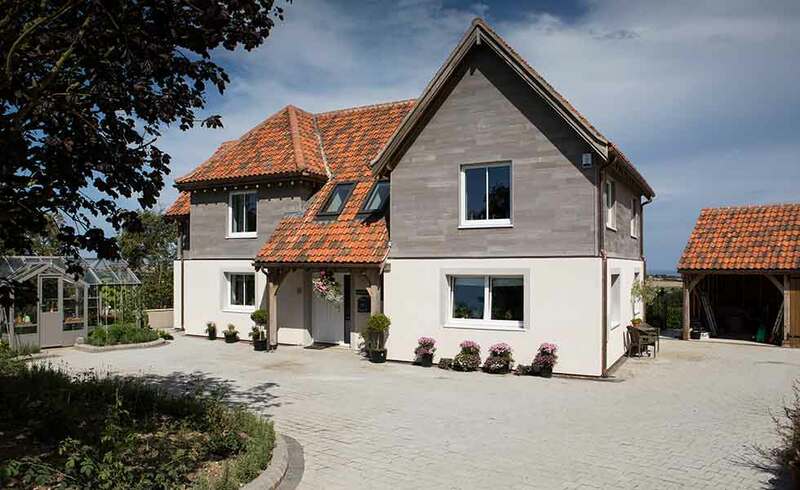 When it comes to design, all self build homes are bound by budget, but even if you are on a tight budget, it is highly likely that by choosing to self build you will be able to build something bigger than the standard developer home. 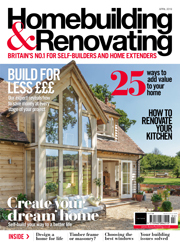 Numerous factors will affect your build cost, from your chosen build system and how much involvement you have in the process to the specification you go for, but you might be surprised as to what you can build on your budget. 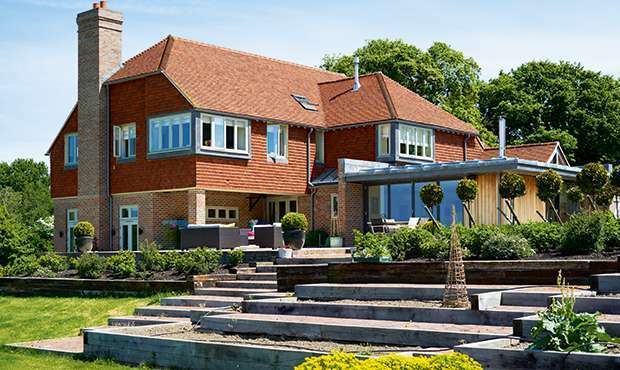 The self build homes below have been organised by price band to not only give you an idea of what you could achieve on your budget, but to also prove that great design is achievable in every price band. NOTE: As they vary so wildly across the country, land costs have been omitted from the figures below. 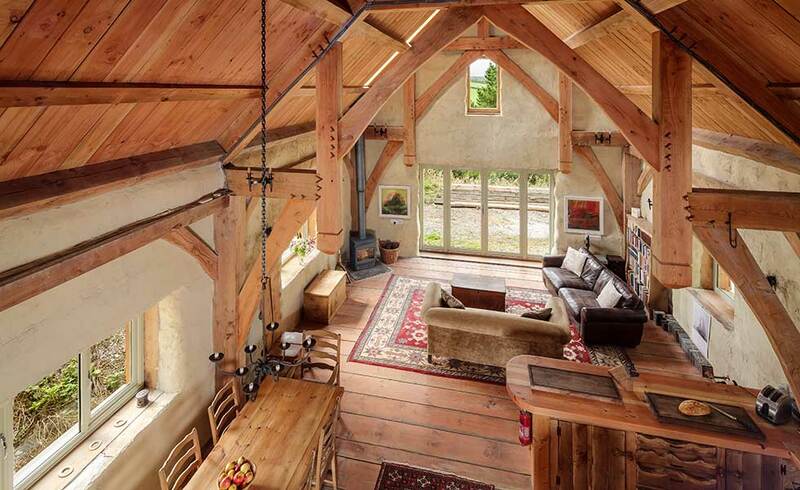 Justin and Linda Tyers self built a two-bed straw bale home for just £67k under Exmoor National Park’s affordable housing policy. Phil Coe transformed an old agricultural building into a modern home using skills he learned in college and tutorials on the internet. 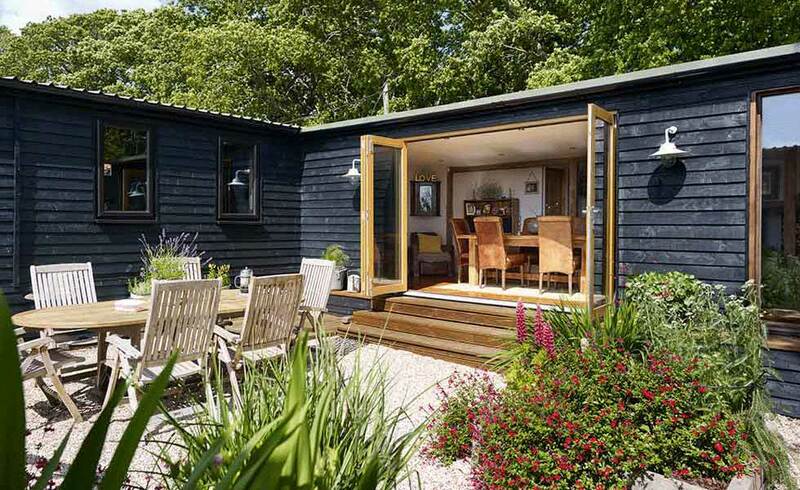 Jude Hesselgrave and Roger Page built a log cabin, which they subsequently extended and transformed over the years to create a characterful home — for just £60,000. 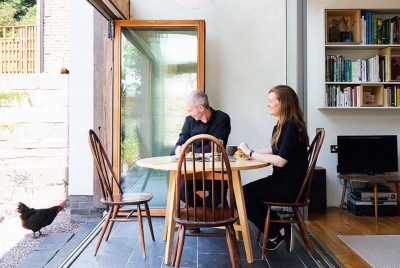 Taking inspiration from the local vernacular, Niall and Helen Maxwell built their own sustainable home fit for modern living using local materials and labour to keep costs down. 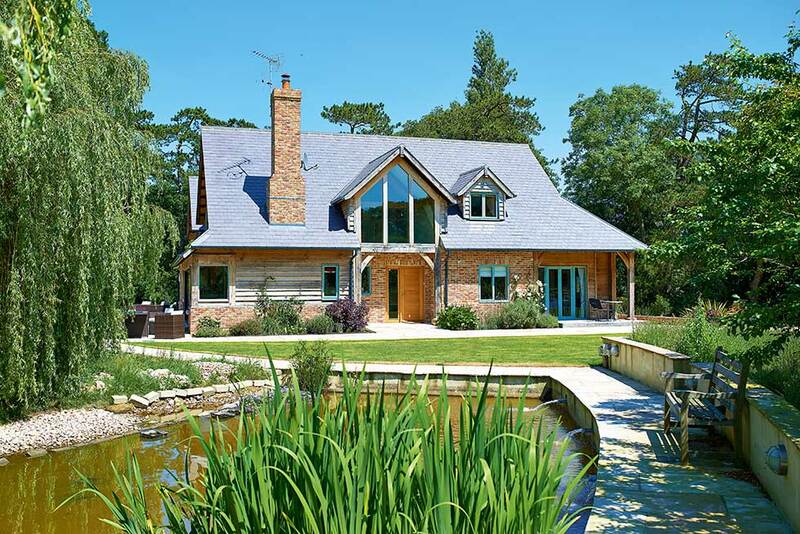 Insulated concrete formwork (ICF) was used to build this home over a stream on a restricted plot. The homeowner, Robin, took inspiration from the internet to teach himself different skills and built the majority of the house himself. 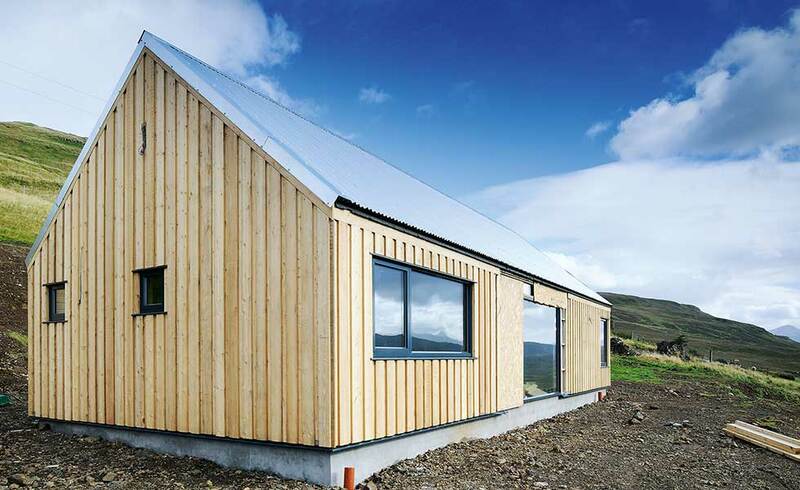 This contemporary cabin-style self build home was built inspired by Scandinavian architecture and interiors and includes extra insulation and solar panels to compete with the harsh northern climate. 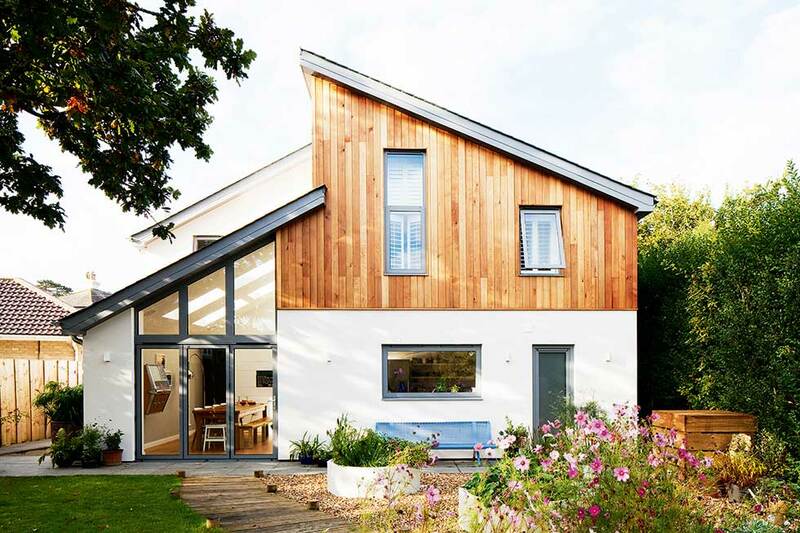 Proving that building on a budget doesn’t have to mean low-spec, this family home was constructed from Structural Insulated Panels (SIPs) and timber frame with a simple design to keep costs down. 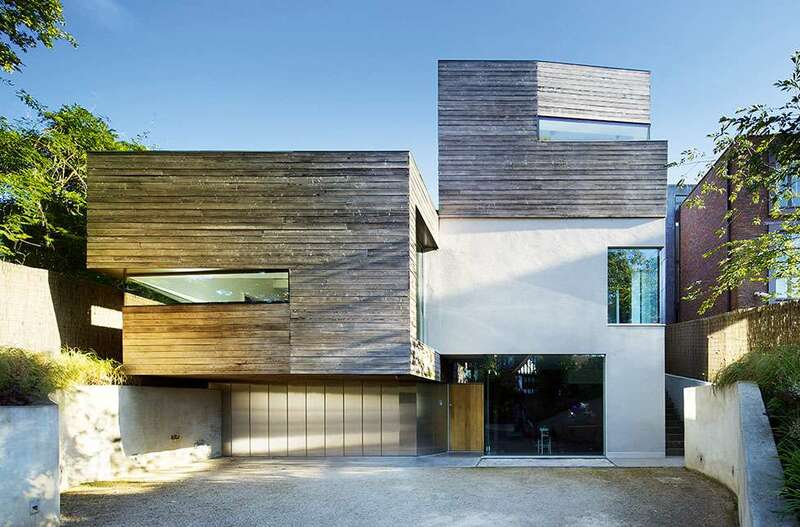 A clever cantilevered design means this self build home makes the most of a tight plot and near-by neighbours, while vaulted ceilings on the first floor mean that the space feels open and light. 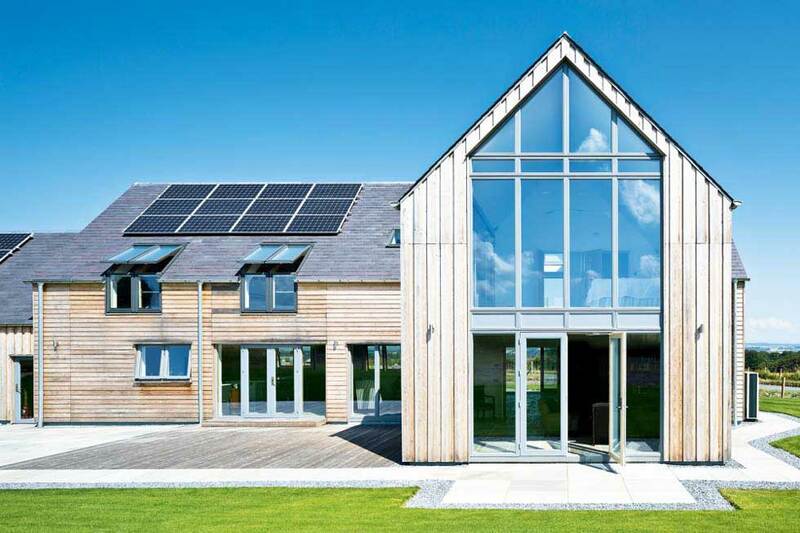 Pioneering the idea that a low-energy home can be built using ordinary building materials, these homeowners made sure to include renewables in this house design. 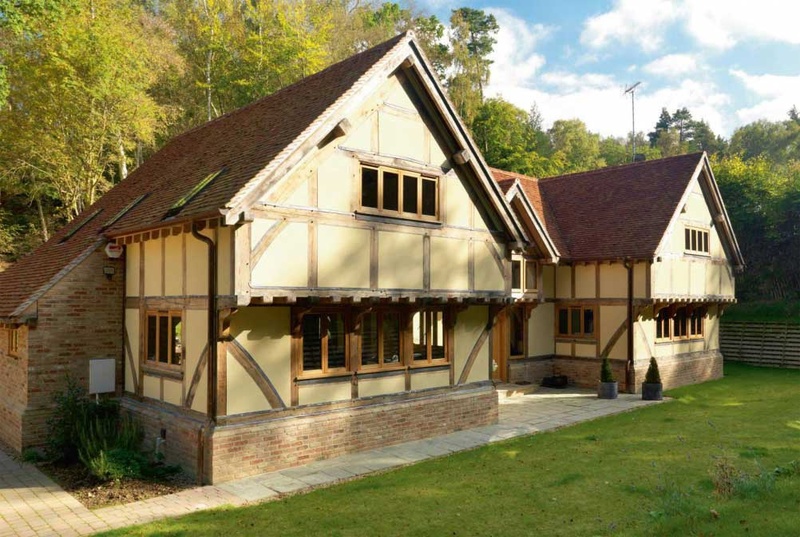 This timber-clad home was completed in the majority by the homeowners who took on all work except from the installation of the oak frame, roof and windows. 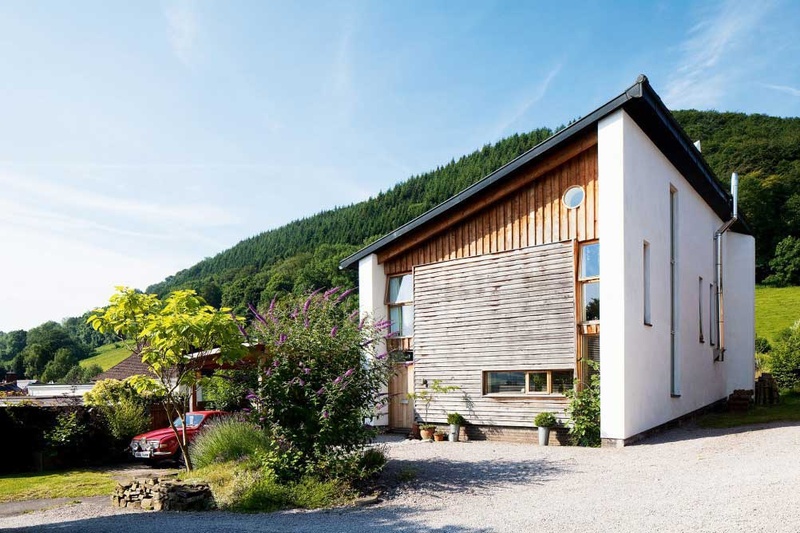 Elizabeth Sharp has self built a 110m² Passivhaus on the site of her former home’s garage and rear garden, and now has heating bills of around £300 per year. 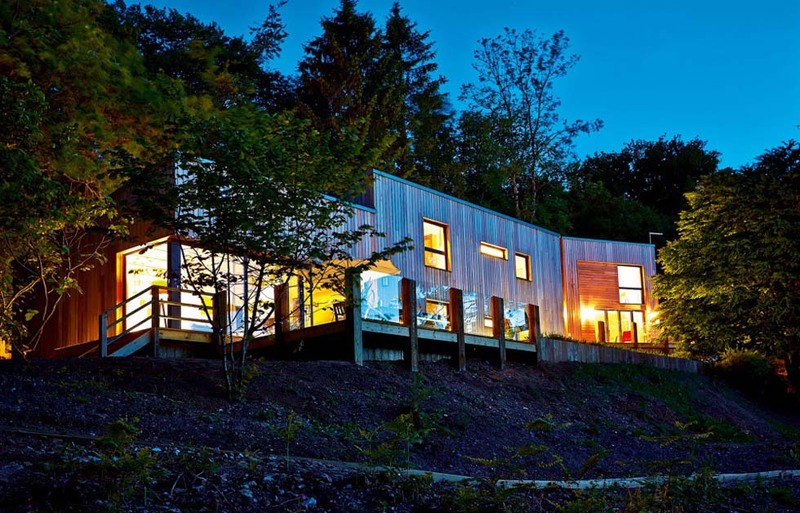 This modern cedar-clad home situated in an Area of Outstanding Natural Beauty has the wow-factor and luxury of a hotel on a sloping plot in the woods. 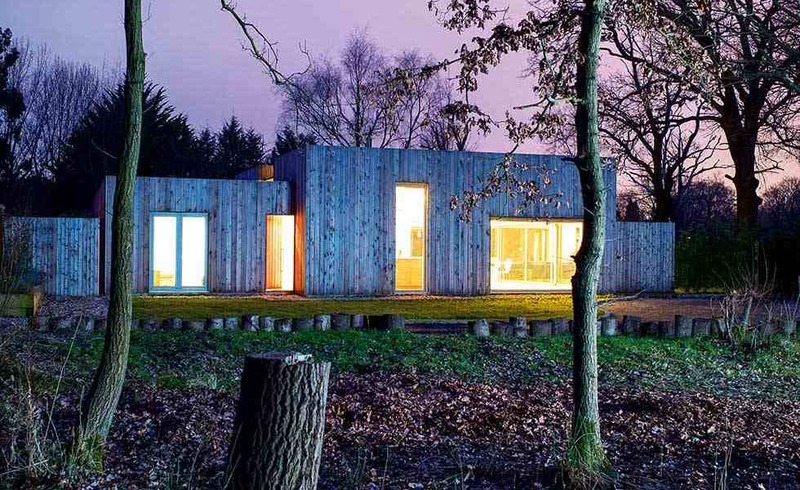 Constructed from a steel frame and clay building blocks, this house is split into two separate areas for living and sleeping with a glass structure running through the heart of the building. 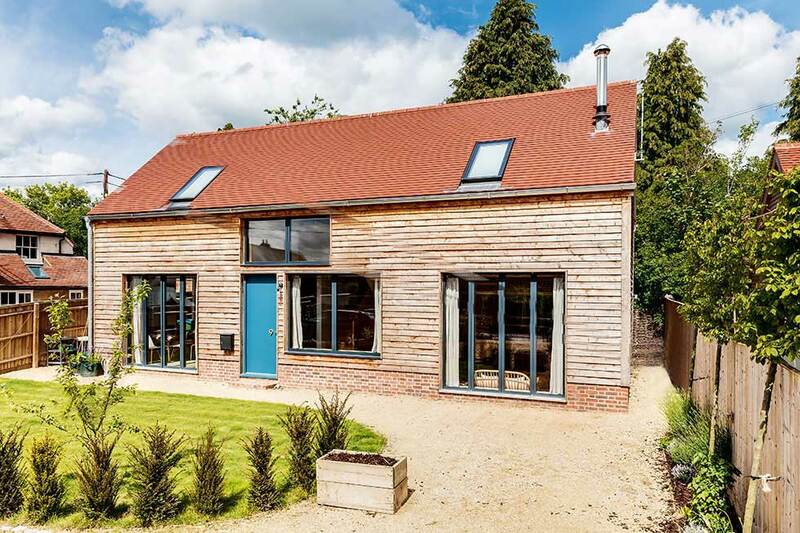 Simeon Rich and Sara Farquharson have made the most of a small plot with their eco self build home with build costs of just £825/m². 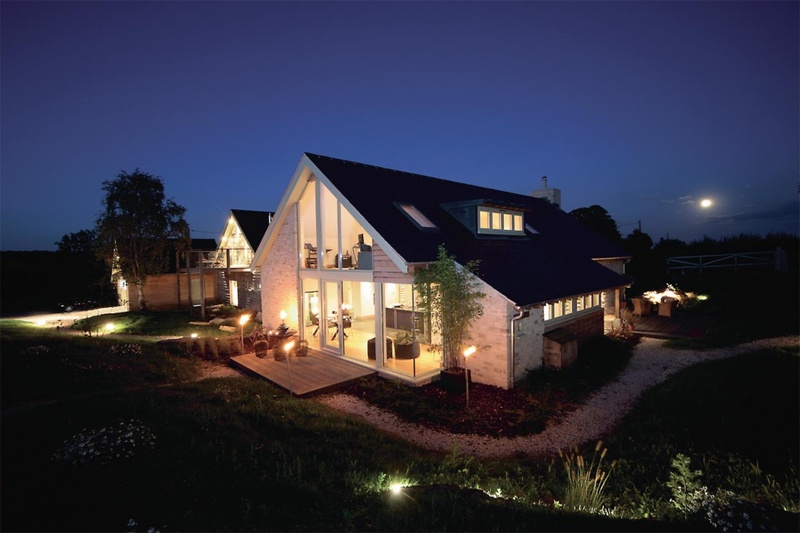 Described by the homeowners as Viking longhouse meets New York apartment, this self build home was built using SIPs to create a traditional layout with an industrially-inspired interior. 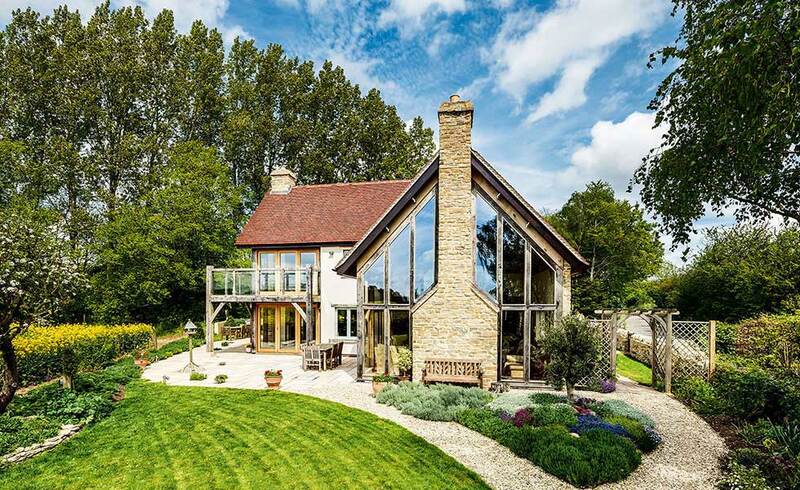 This self build home is a great example of when great design and well thought-out specification meet to create a truly unique property. 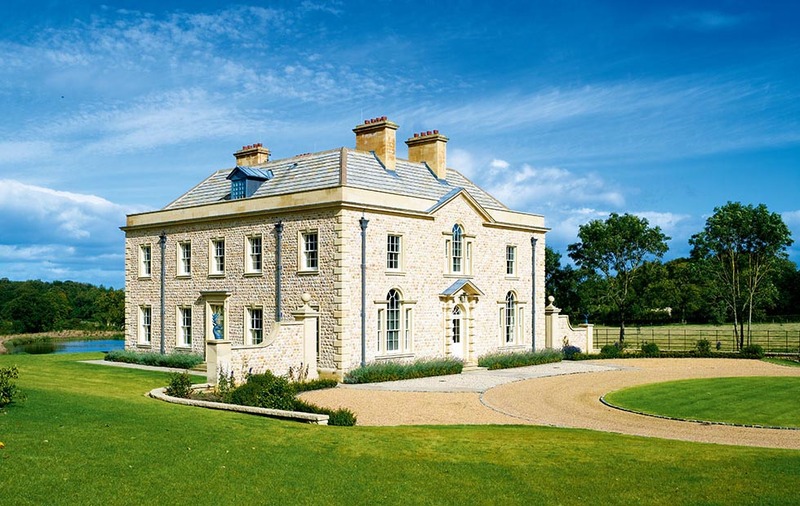 The use of traditional materials and form means that this new build looks like it has stood for centuries. 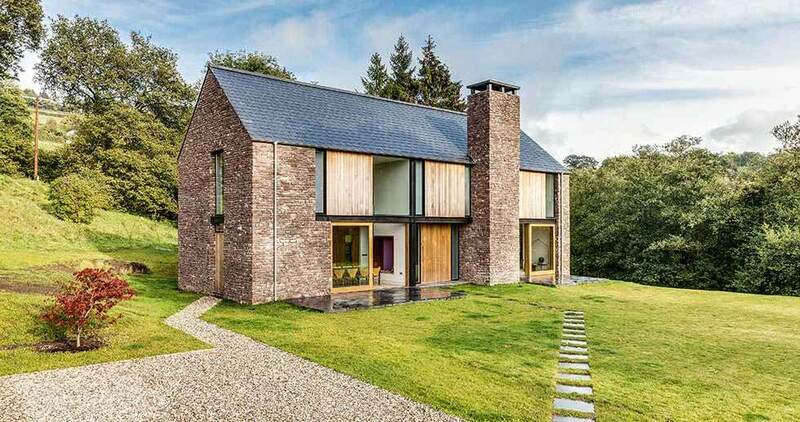 The clever design of many features combats potential plot problems in this self build — working with the curve of the road, the house is split into three ‘sections’ and angled windows reduce overlooking. Built using a steel frame, this contemporary treehouse embraces its surroundings like no other. 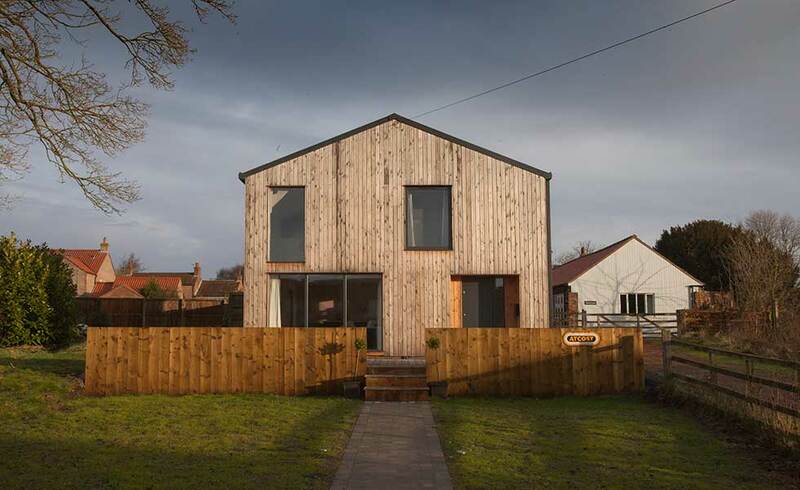 Imaginative budget solutions combined with beautiful Passivhaus design mean this house is like no other. 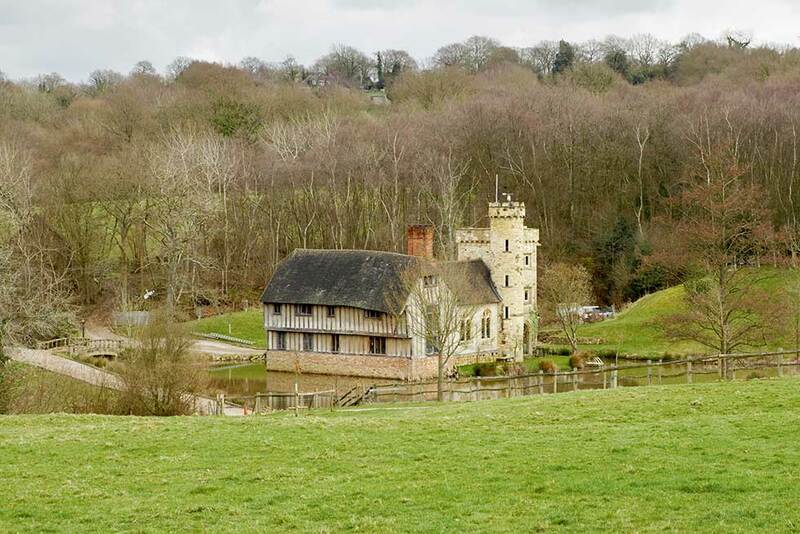 A amazingly eccentric self build home that looks like it has been standing for centuries. 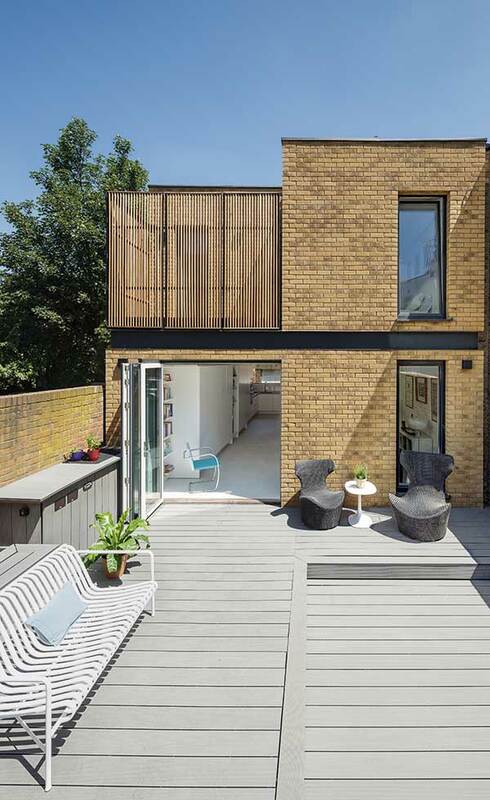 A large amount of work was done by the homeowners and an effort to stay true to the local vernacular inspired the use of reclaimed brick for the exterior. 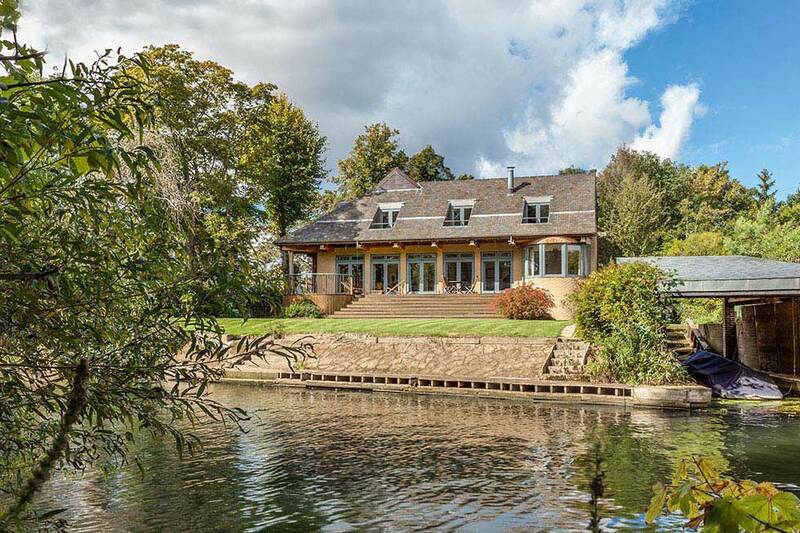 Built in a flood zone on the edge of the Thames, this self build is inspired by the architectural influences of the homeowner and architect, Jon Wallsgrove. 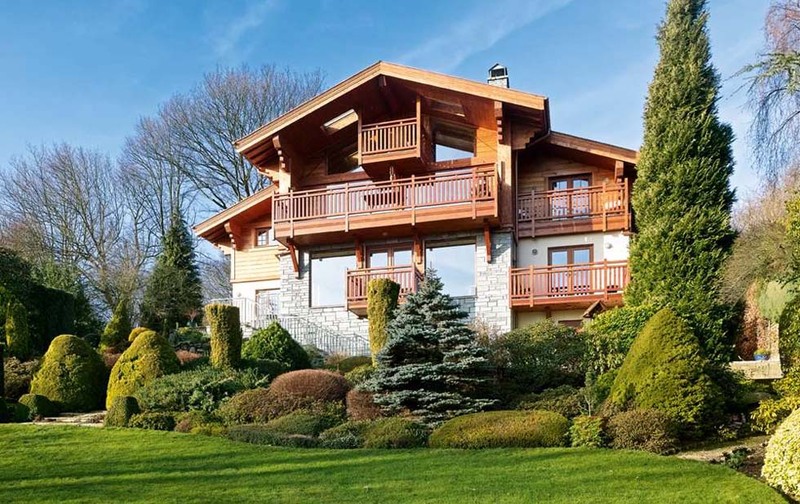 Exotic materials are also incorporated into the home, including Brazilian slate and interior railings from France. 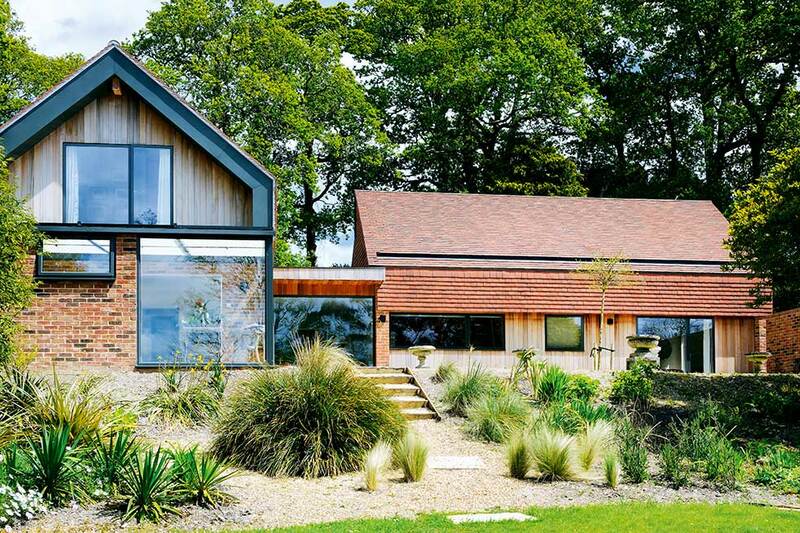 Phil and Yvonne Garnett’s self build home is the first oak-frame home to achieve Passivhaus certification in the UK. 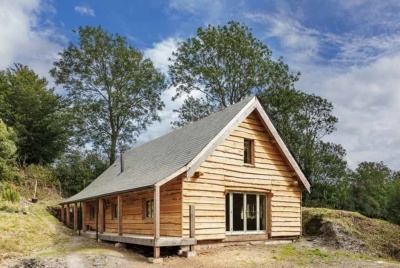 Jo and Dave Reeves have combined modern methods of construction and energy efficiency with traditional green oak framing and building materials for their first self build. 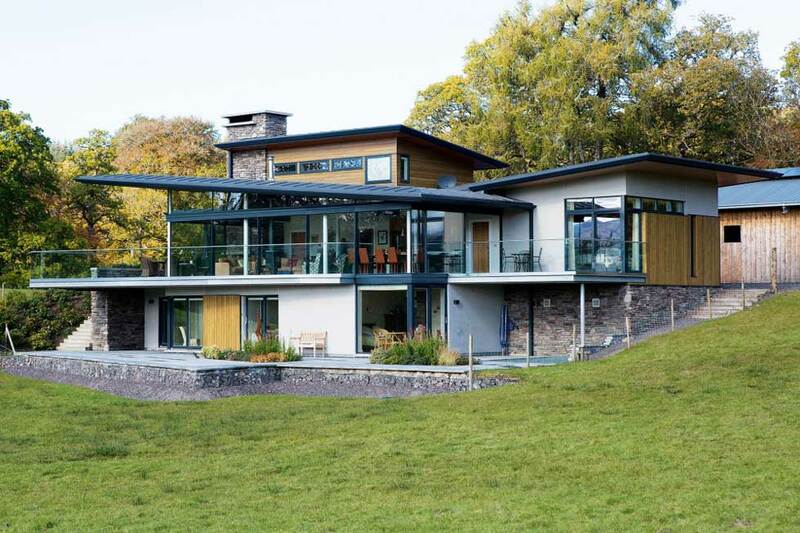 An incredible total of five balconies adorn this self build home which, inspired by Swiss design, is finished in a mix of render, stone and timber with beautiful pine cladding throughout the interior. 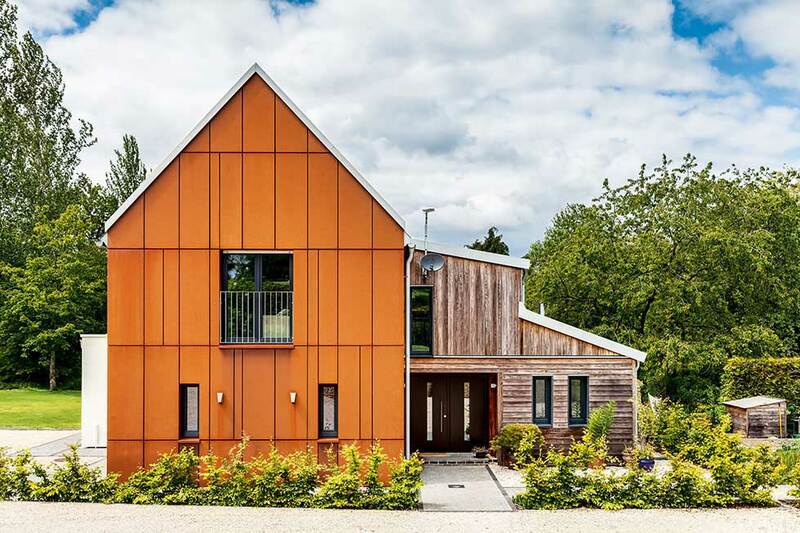 Using a fabric first approach by using SIPs, Colin Amor, built an energy-efficient home clad in hard-wearing Siberian larch. 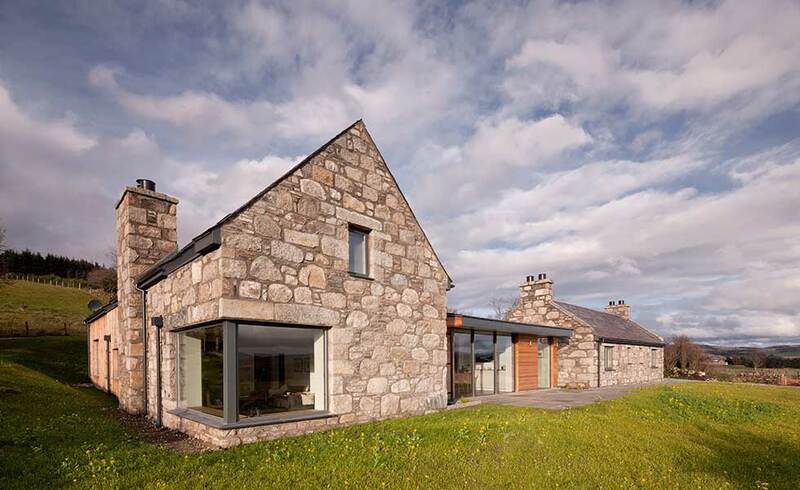 After demolishing a cottage and dilapidated barn that once sat on this site, architect Stuart Archer rebuilt a contemporary home using the stone with the old footprint, connected by a glazed link. 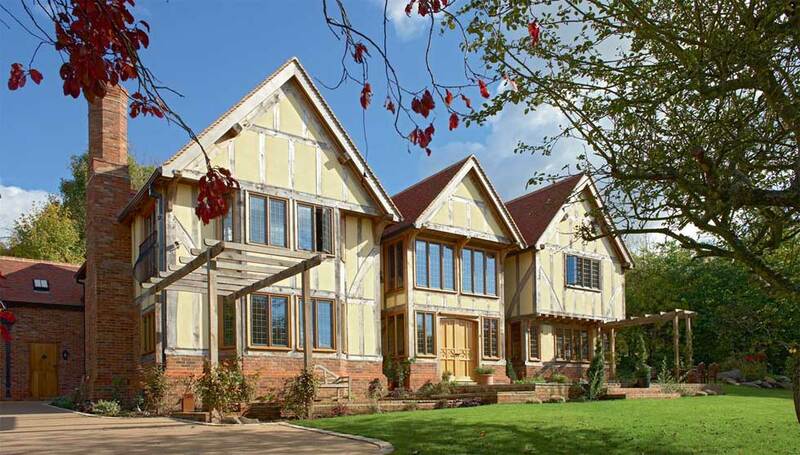 Despite the traditional outward finish to this house, it was constructed using cutting-edge methods including SIPs and glulam (engineered timber) beams. 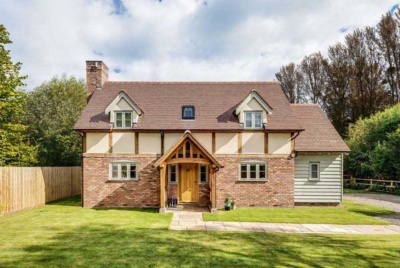 It was quality first when building this house as high standards and a great home design created a traditional home that looks like it has stood for years. 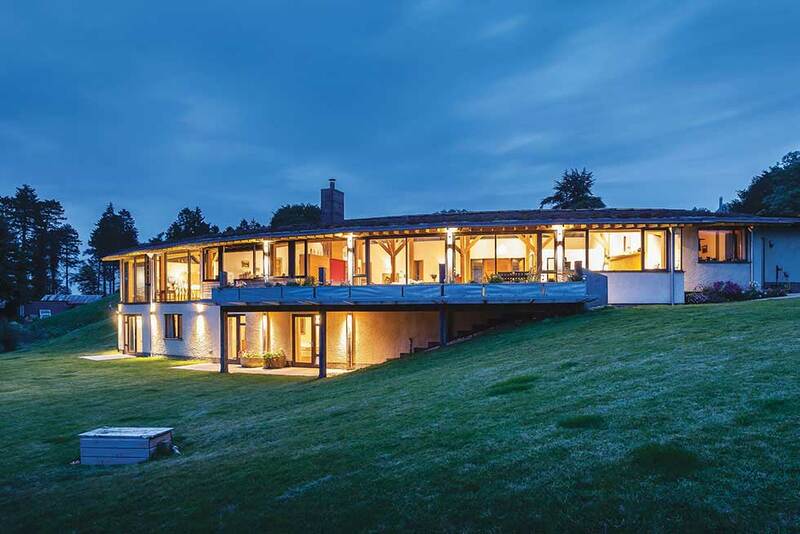 This contemporary home sits comfortably in the countryside setting without becoming an imposing presence. 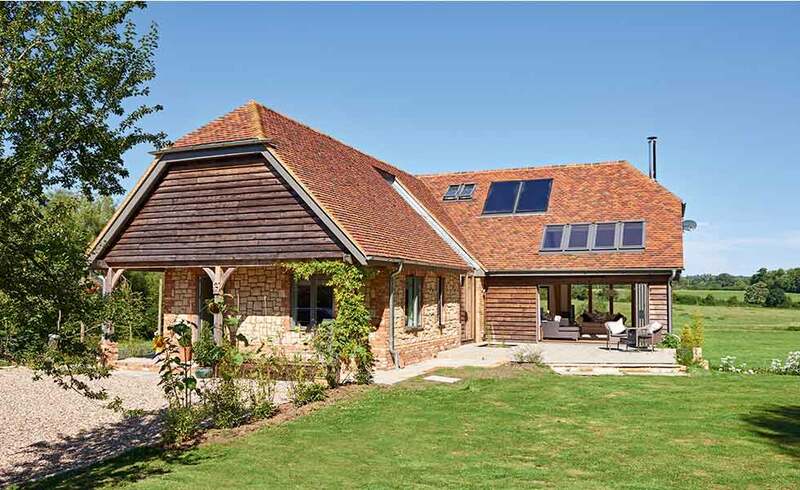 Low energy living was embraced by the homeowners and the house boasts underfloor heating, high insulation and a mechanical heat ventilation system. This oak frame design had family at the heart as Gerald and Debbie Rogers built it to care for Gerald’s mother. The result is a beautiful and understated home ready for the future. 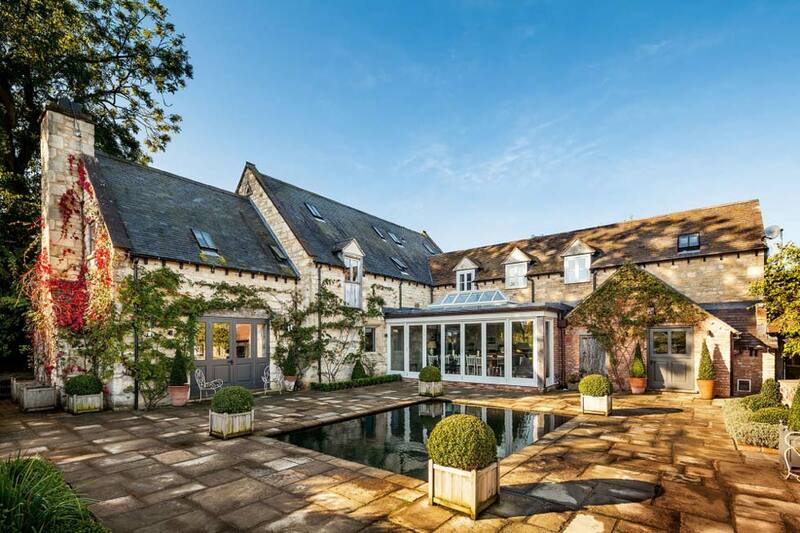 Not many people choose to prepare for their wedding day by building a house, but Amanda and Colin Sheppard built a stunning home on their Oxfordshire plot. 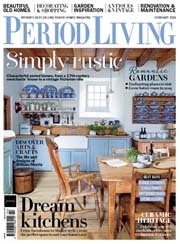 Once a Second World War airbase, this plot now homes a modern farmhouse that sensitively echoes the site’s history. 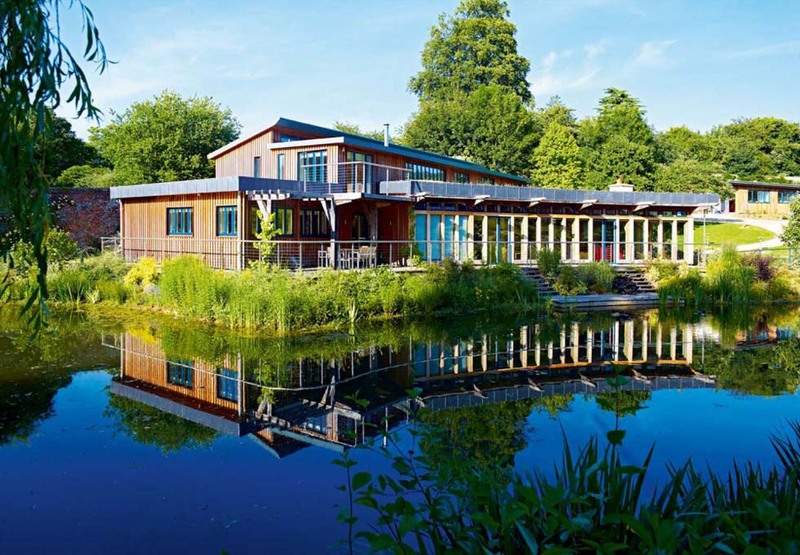 This traditional-style home was built using green oak but is filled with hi-tech gadgets such as automated windows, integrated lighting and entertainment systems and – less glamorously – a bio-digester sewage treatment plant. 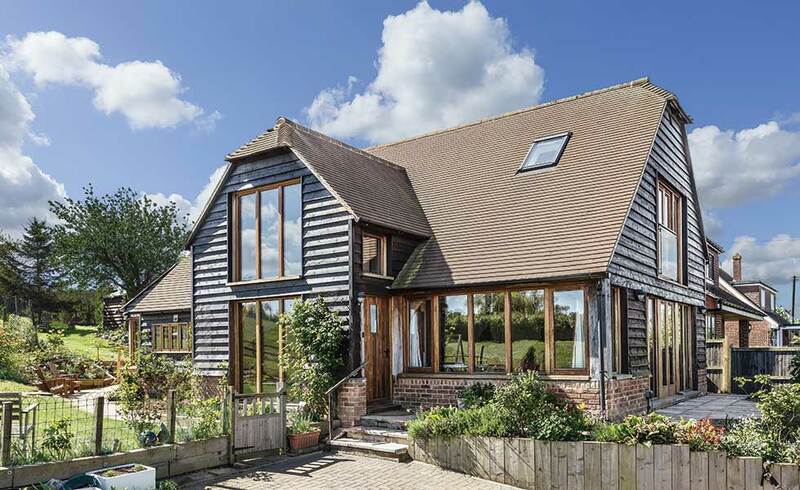 After being diagnosed with multiple sclerosis, Mike Bray and his wife Linda self built a bespoke accessible home with the help of their son, Oliver..
A Wealden-barn style design was chosen over a traditional barn-style home in order to achieve planning permission and optimum natural light throughout the building. 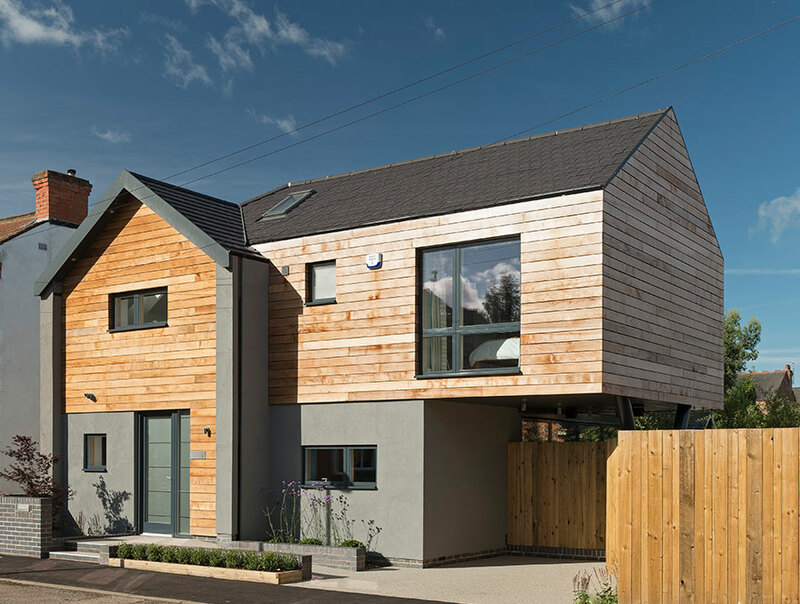 The limestone and oak cladding decorating this build were sourced locally and the unconventional design of the house is complimented by the comforting interior finished with open fireplaces and bamboo and slate flooring. 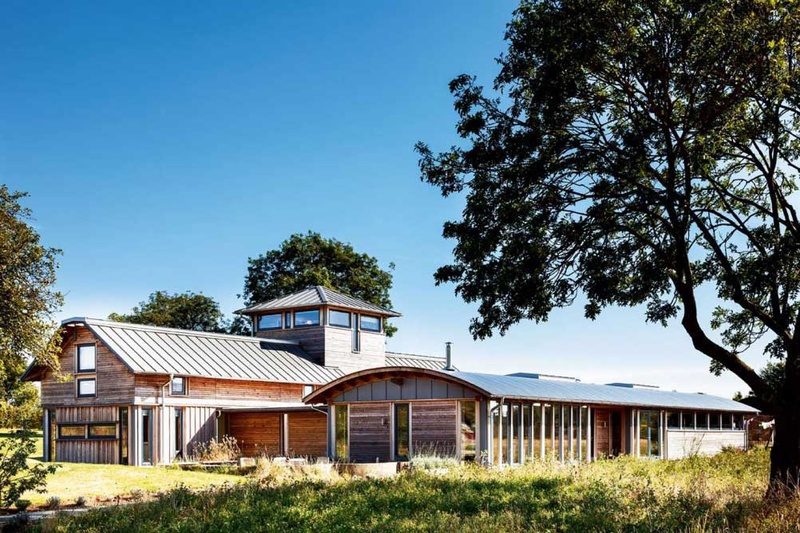 This off-the-grid home was built using locally-sourced materials with a motivation for sustainable living. 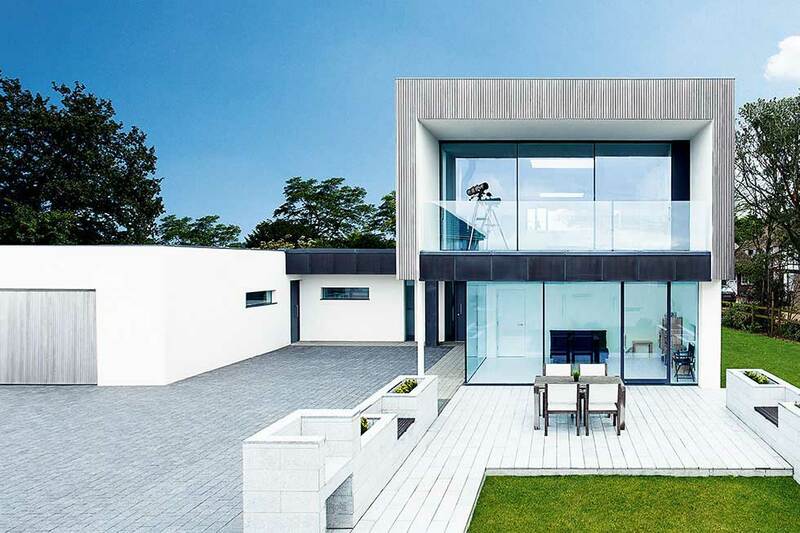 The design and the exterior finish means the house melts seamlessly into the landscape. 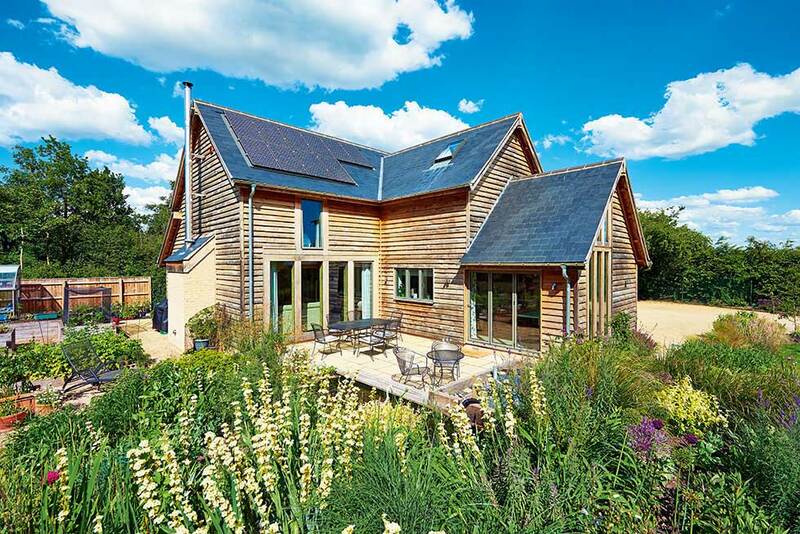 Sensitively built, this oak frame home is a masterclass in sustainable living as the design includes both passive and active eco features. 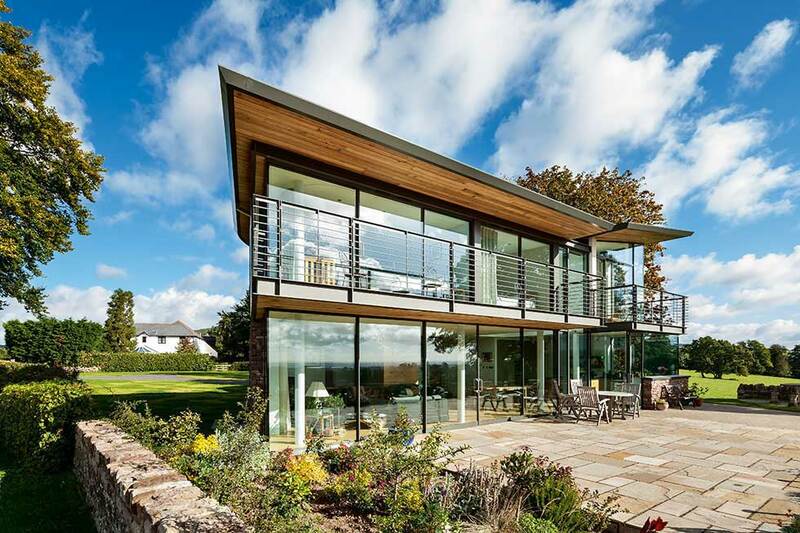 Replacing a tired mid-1950s house, this modern love letter to wood and glass stands strong, taking full advantage of the views surrounding the plot. 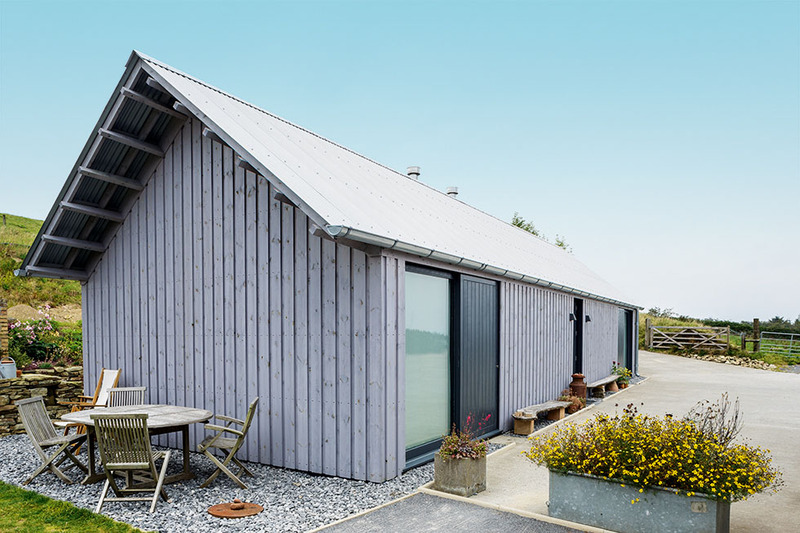 A unique package-build experience gave way for the timber and steel clad home in the form of a contemporary-style barn. 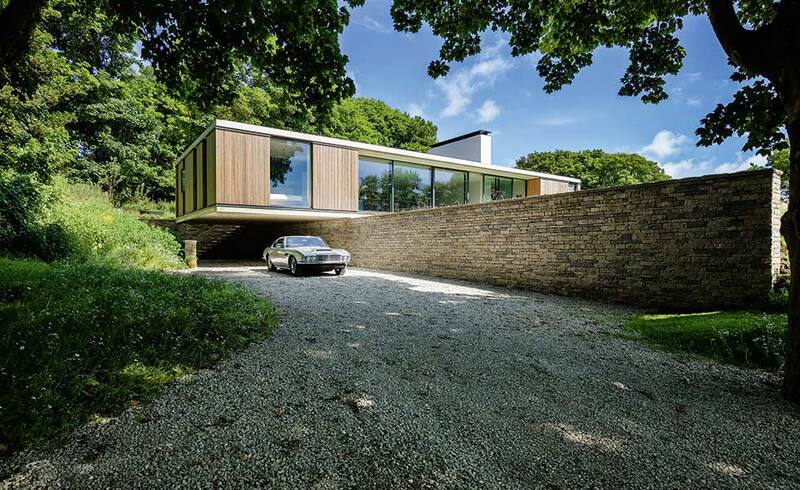 Suitable for retirement and completely future-proofed this cantilevered house is full of drama and wow-factor as much as it incorporates practical solutions. 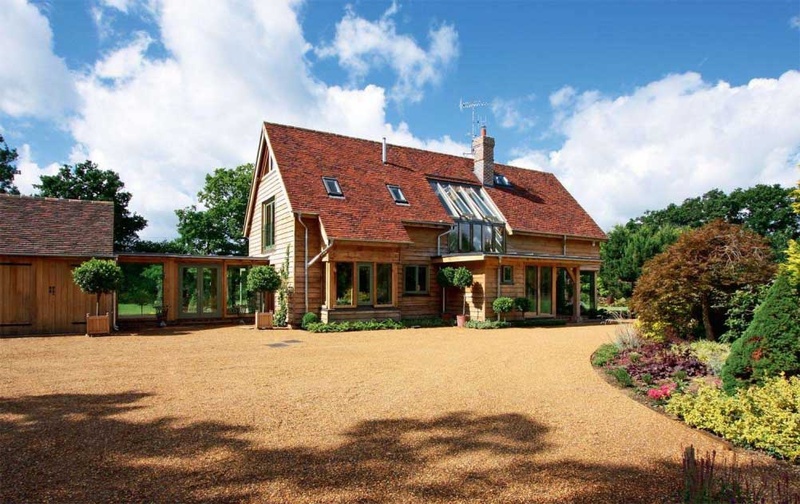 The homeowners journey for their home for retirement was stress-free thanks to the detailed planning and design process by Oakwrights. 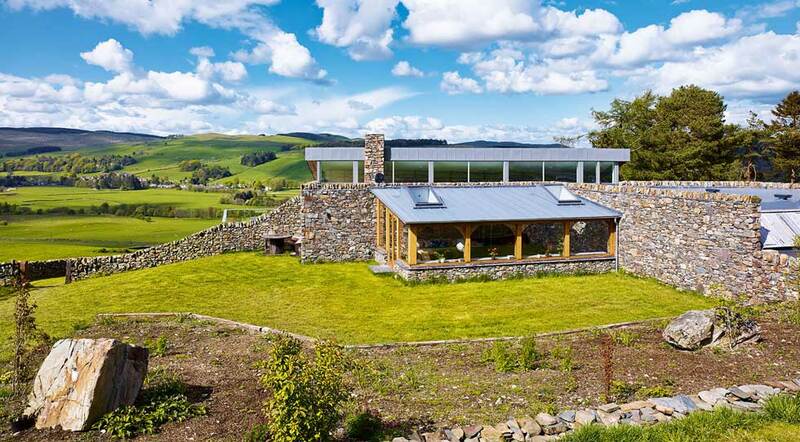 A beautiful example of organic architecture, this contemporary home seems to grow from the rolling hills. 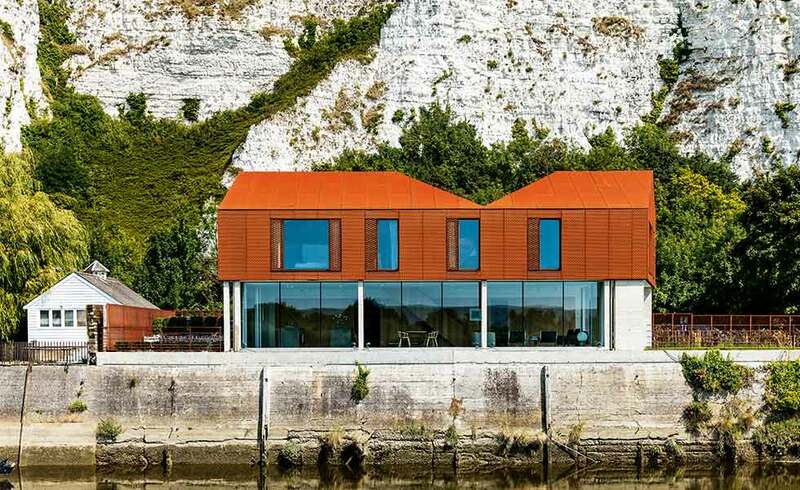 The bold design and striking exterior of this home contrasts wonderfully with the white chalky cliffs on the brownfield plot. 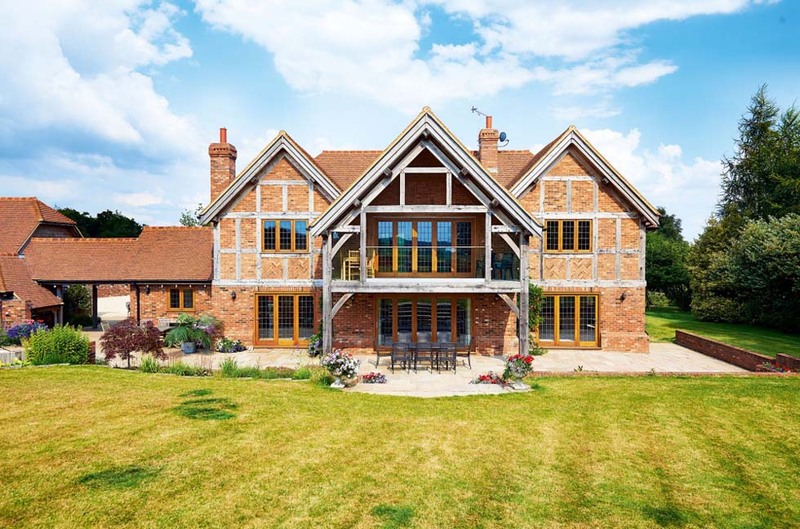 Full of character, this traditional oak-frame house was built by local craftspeople and sits firmly within the vernacular of the countryside setting. 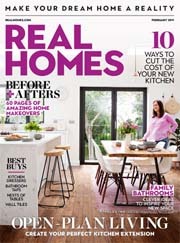 Where most couples downsize as their children move out, Geoff and June Gaffney were determined to build enough space in their home to accommodate their ever-growing family. 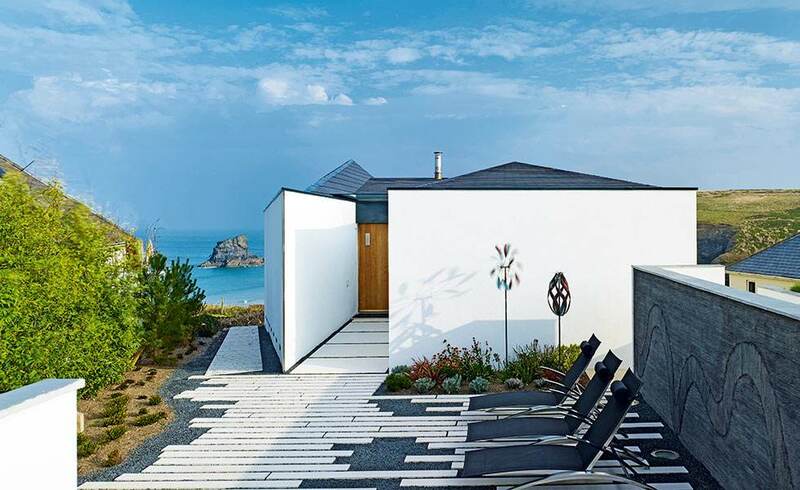 A striking new build on the Cornish coast, this home is finished to a beautiful degree, making the most of the stunning views with an interior to match. 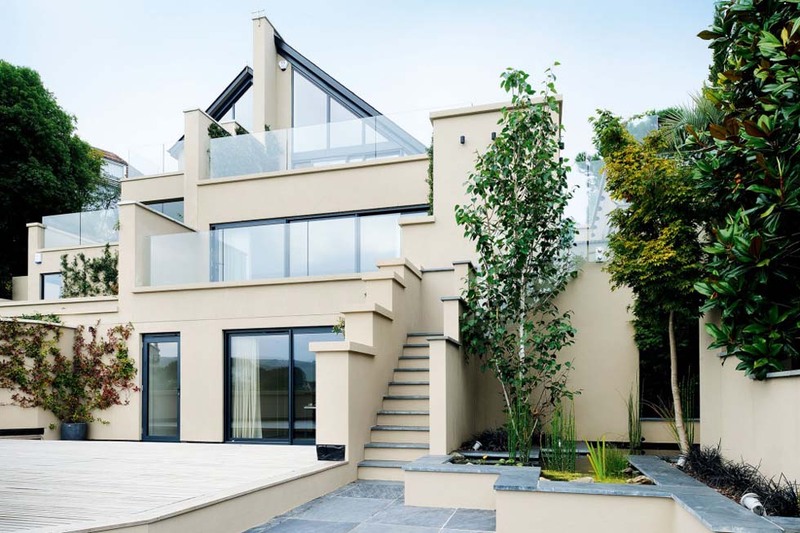 Utilising a tricky sloping plot to a design advantage, this home is spread over three levels, all of which incorporate large elements of glazing. 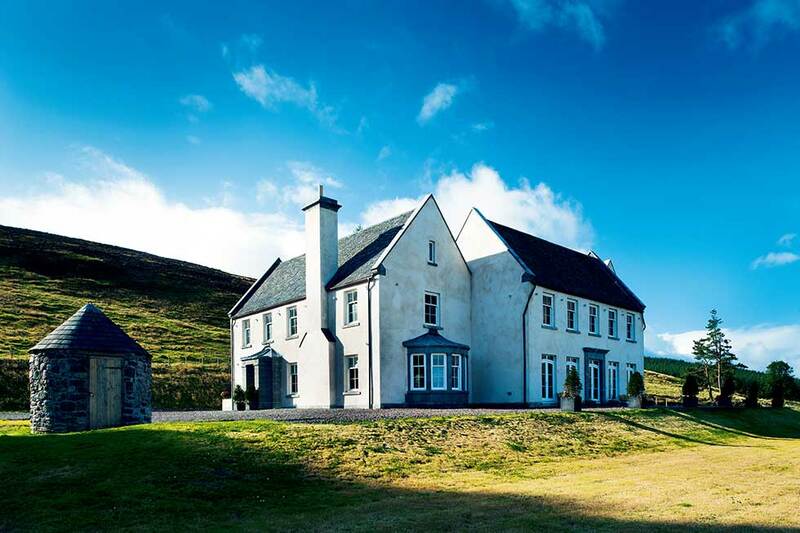 This modern family home in the form of traditional Scottish mansion was the long-standing dream of the homeowners and it stands stoic against the beautiful landscape. 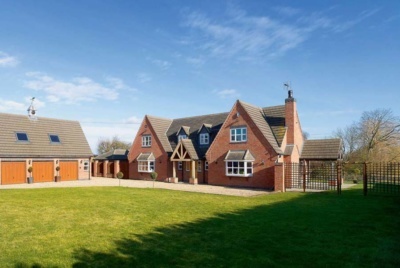 Locally-sourced bricks and handmade tiles complete this unique mix of traditional and contemporary home design. 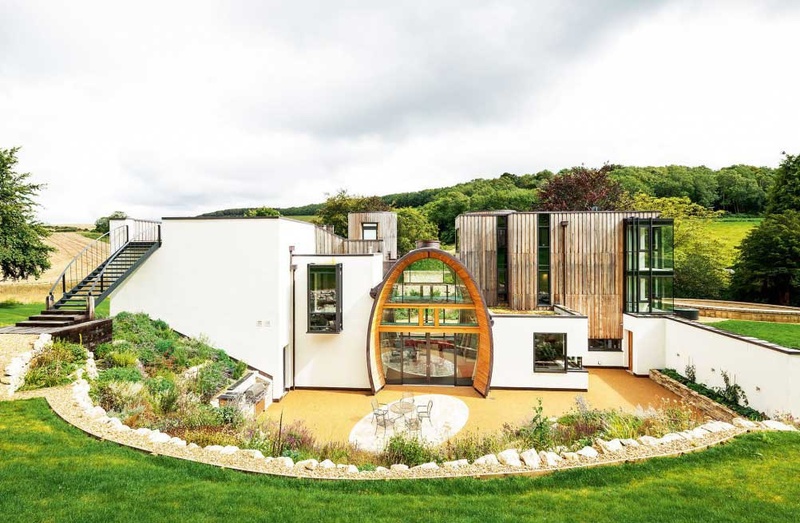 In place of their former family bungalow, homeowners Mel and Pauline built a unique dwelling that boasts a dining hall atrium, swimming pool, huge cathedral-style windows and a wine-drinking retreat in the basement. 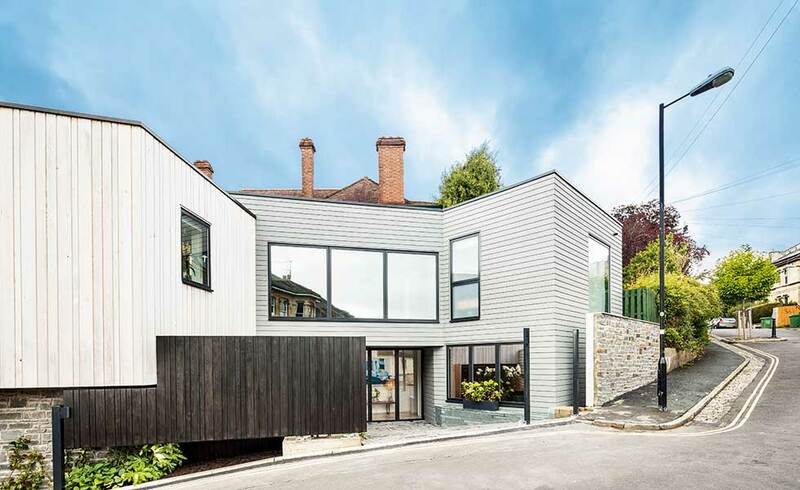 Interlocking larch-clad boxes on top of a solid concrete base give this home a unique split-level flooring layout. 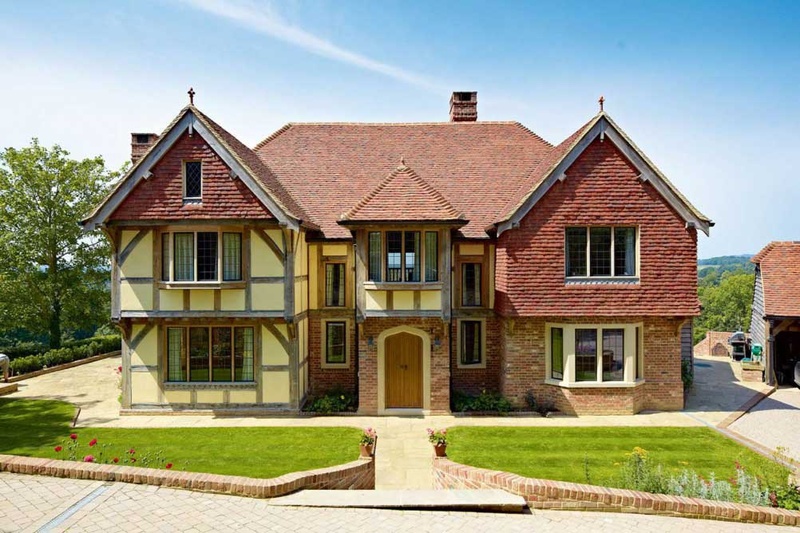 The square-nature of the Georgian-style houses – this one built with Hemcrete, a modern mix of lime and the inner core of the commercial hemp plant – was chosen for it’s energy-efficiency. 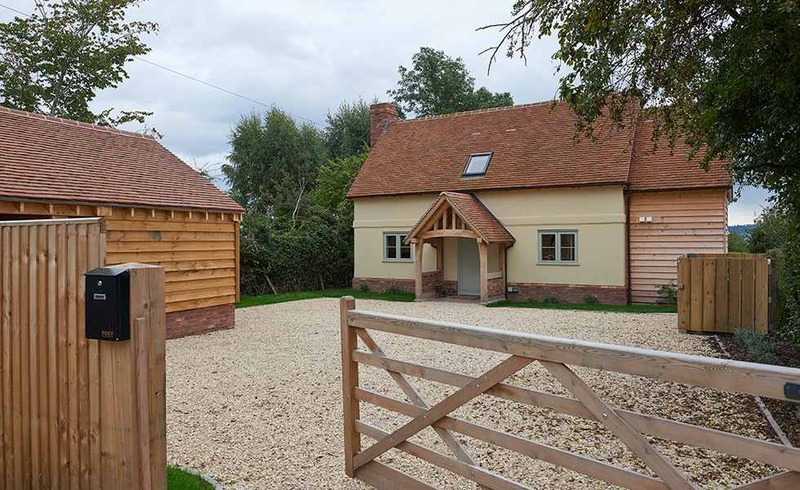 The high-spec materials and fixtures used throughout the build make sure the finish is beautiful inside and out. 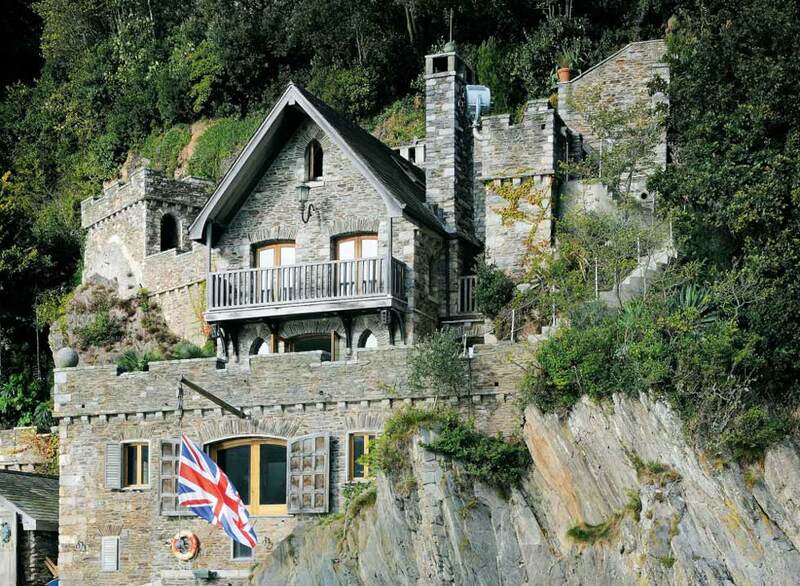 A self build like no other, this impressive home is spread over four floors and is so deeply imbedded in it’s surroundings that it looks as if it has grown organically from the complex rock-face. 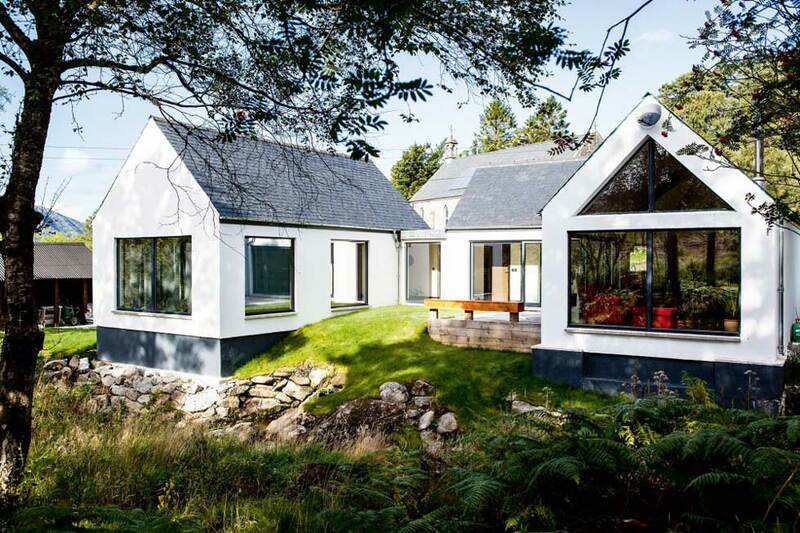 The quirky and creative design of this house is a great example of architecture at its best. 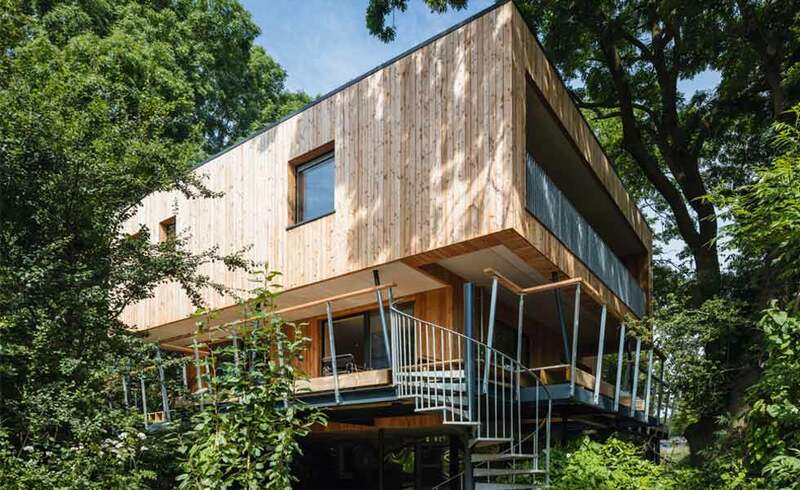 Built using Cross Laminated Timber (CLT), the home pushes boundaries and is a testament to self-build done right.